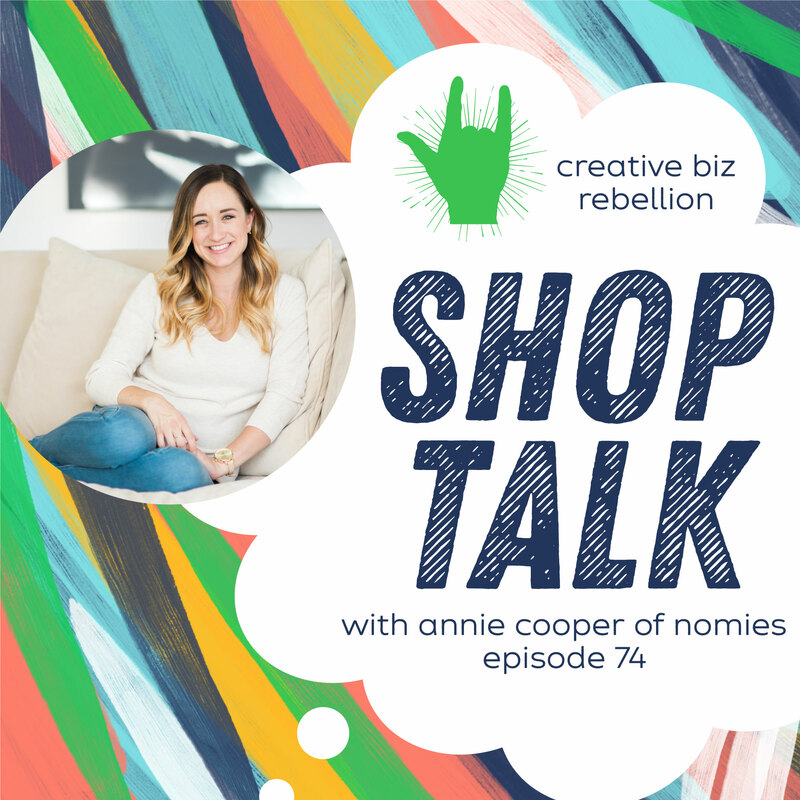 On today’s shop talk, we chat with Annie Cooper of Nomies! This was such a fun conversation about growing your business organically and how she used influencer marketing to grow. Annie gives tons of great tips for how to use influencers to curate an amazing Instagram feed and get your product out there. My name is Annie Cooper, the girl behind Nomies, the cutest baby shoes on the web. I got started making baby shoes when I was pregnant with my second baby. My family had just made a move for my husband’s career and I had decided to be home with my kids. Without my second income, I couldn’t justify buying the other expensive leather baby shoes I had bought in the past and decided to try my hand at making some myself! What had started as a way for me to dress my own baby in style soon became an object of financial necessity when my husband quit that job that moved us across the country and went back to school. Since that time, Nomies has been our sole income for our family of 5 and has blessed us in ways I never thought possible!